F&W's travel experts searched the globe for the year's best eating experiences. Here, six essential spots in Mexico City, plus its world-class art museum and the food conference that's drawing star chefs from all over the world. Mezcal comes with homemade salts (celery, basil) at this food-centric bar. The salsa, served with the braised beef, is made with a rare tomatillo from nearby Malinalco. Schiller 333. The locals love sushi. At Rokai, the seafood (chocolate clams from Ensenada) couldn't be fresher, but one of the best dishes is sake-marinated fried chicken. Río Ebro 87. This cozy restaurant pays homage to moles from Oaxaca's Sierra Norte region. 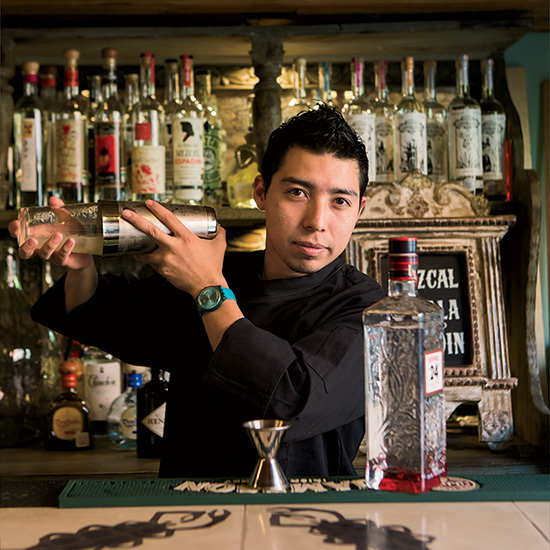 Ingredients (like heirloom-corn masa) and mezcals are sourced from small Oaxacan producers. Colima 268; yuban.mx. Mexico City is now home to Museo Jumex, one of the world's greatest contemporary art collections. The David Chipperfield building is a draw in itself. fundacionjumex.org.